A Women’s March on Washington was held on January 21, 2017 in response to the presidential election and inauguration of Donald J. Trump. On Friday, January 20th, Trump was sworn in as the nation’s 45th president in Washington, D.C. 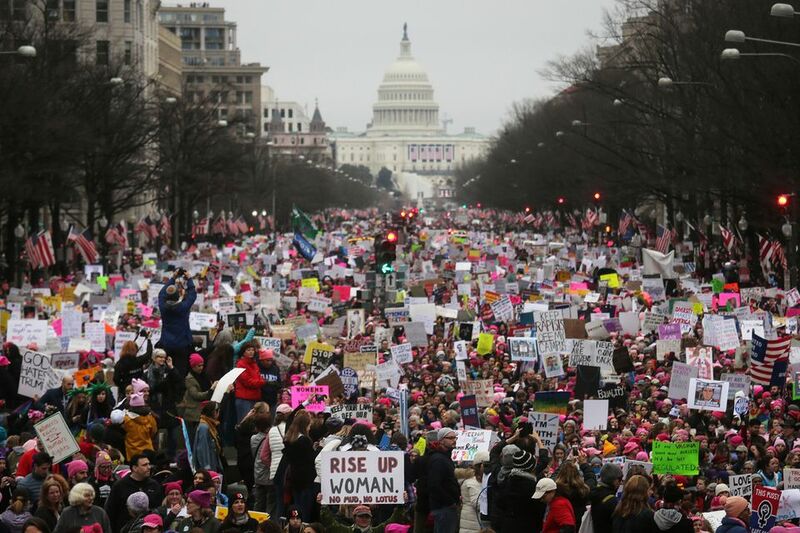 The Women's March brought people together the following day to make a strong statement in opposition of Trump’s values. The rhetoric of the election insulted and threatened women, immigrants, those with diverse religious faiths, people who identify as LGBT, people with disabilities, and others. The March was a grassroots event meant to highlight women’s issues and empower all individuals across the nation. The largest event took place in Washington, D.C. However, marches were also held in many cities around the nation and across the world. Celebrity Participants: Kay Perry, Cher, Zendaya, Angelique Kidjo, America Ferrera, Scarlett Johansson, Amy Schumer, Chelsea Handler, Debra Messing, Frances McDormand, Julianne Moore and more. Sister Ieasha Prime - Executive Director, Barakah, Inc. The National Museum of the American Indian hosted a multi-cultural festival on January 21-22, 2017 from 1-5 p.m. The event is entitled "Out of Many Festival" and will presents Native performers, both traditional and contemporary, from across the country. Also performing are groups from the Washington, DC area highlighting mariachi music, West African dance, taiko drums, salsa music and dance, Chinese youth lion dances, jazz and more. The museum is located next to the gathering space for the Women's March on Washington and is an ideal place to visit to take a break from the demonstration activities. The Women's Democratic Club hosted four days of events, January 18-21, 2017, at their headquarters at 1526 New Hampshire Ave NW Washington DC. The events include open houses with speakers and panel discussions. A breakfast will be sponsored on the morning of the March.